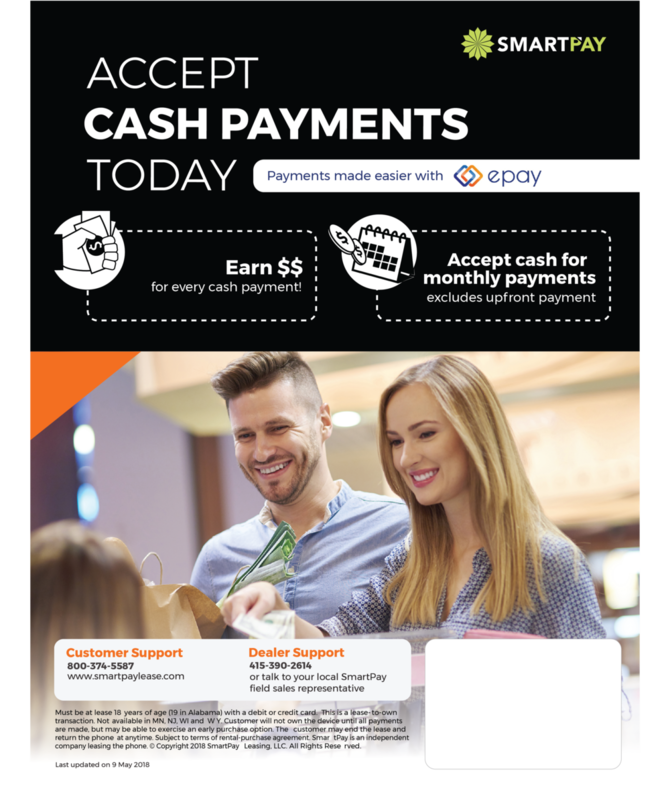 SmartPay is excited to announce that with our closer partnership with ePay, we will now accept cash for regular scheduled payments in Boost stores! As a dealer, you will be able to earn extra commissions for each cash payment. Please also note that the initial upfront payment will still require a valid debit/credit card.